browsers like Google Chrome, Safari, Firefox, Opera and others. With the launch of its latest web browser Internet Explorer 9, the software giant is looking forward to reestablish its authority in the browser market and it seems that the Internet Explorer 9 will play a vital role in bringing back good old days of Internet Explorer (IE). As soon as it was launched, IE 9 found instant popularity among users with the browser being downloaded by 2.35 million people across the globe within the first 24 hours. The figure indicates that the browser has been downloaded by 27 users per second. Microsoft has equipped IE 9 with nifty features to ensure that the browser competes well with its counterparts. 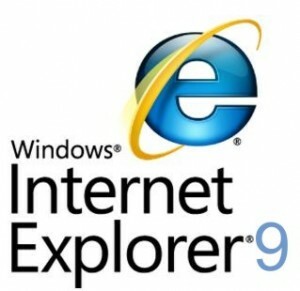 Microsoft has focused on speed on IE 9. The speed of IE9 is similar to that Chrome and another feature added in the browser is pinned tabs. This feature allows users to pin tabs and bookmarks for faster access to their favorites. Appearance of notifications on the bottom of the screen rather than pop-ups is another great feature of IE9. Microsoft has also tried to keep the interface of IE 9 clean, neat and user-friendly. To download Internet Explorer 9, click here.